As of a few days ago, news has surfaced that Hollywood director, Guillermo Del Toro, and Hideo Kojima (creator of Metal Gear Solid) will be collaborating to create the newest installment in the Silent Hill video game franchise. This installment will be the tenth in the series and will bear the title, “Silent Hills.” The main character of the game will be portrayed (in-voice and appearance) by The Walking Dead and The Boondock Saints star, Norman Reedus. The news of Silent Hills was announced in the form of an interactive PlayStation 4 teaser/demo called P.T. (“Playable Teaser”) which was released on the PlayStation Store three days ago during Sony Computer Entertainment’s presentation at Gamescom 2014. 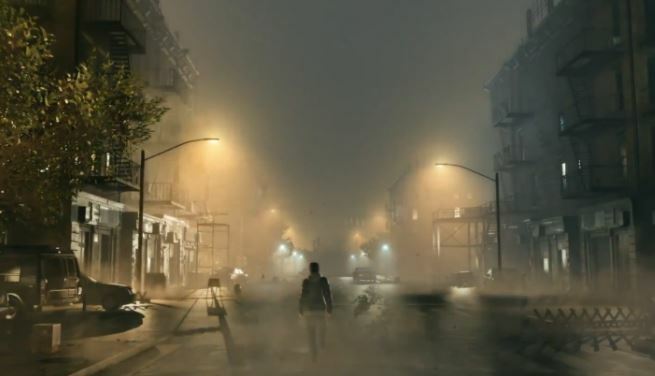 Judging by the demo’s ending and earlier games in the franchise, it seems more than likely that the majority of the game will take place within the whole town of Silent Hill. Likewise, it would be fair to expect that certain (or all) buildings within the town will be accessible and feature masses of impressive horrors. Although additional details cannot be directly interpreted from the demo, a fair amount of information has been confirmed regarding Silent Hills. The game itself is being developed directly by Kojima Productions and will be running on Fox Engine (used in Metal Gear Solid: Ground Zeroes and the to-be-released game, Metal Gear Solid: Phantom Pain). A “warning shot” in relation to Hideo Kojima’s development-role for a new Silent Hill game appeared back in 2012 when it was reported that Konami (Silent Hill’s publisher) had been requesting Kojima to fulfill such a role. Although Kojima admitted that he’s sort of a "scaredy-cat when it comes to horror movies," he made very positive responses to the idea of his future involvement with the series. "I think Silent Hill has a certain atmosphere," Kojima noted. "I think it has to continue, and I'd love to help it continue, and if I can help by supervising or lending the technology of the Fox Engine, then I'd love to participate in that respect." Fast-forward two years from then and here we are. Although the exact roles of Kojima and Del Toro have yet to be specified, it is fair to say that their combined talents will produce something incredible. When I played the very first Silent Hill game, I never looked at fog the same way again. When Silent Hills is released, I hope to see darkness in a whole new light. I highly urge any readers to play the demo or to watch the walkthrough which I have linked below. To obtain the best experience, I recommend playing/watching in the dark with headphones or surround sound. I also want to thank Sparfire for informing me of this exciting news.